Right now, the U.S. Senate is debating an issue that’s critical to our democratic future: secure elections. Hacking attacks were used to try to undermine the 2016 U.S. election, and in recent years, elections in Latin America and Ukraine were also subject to cyber attacks. It only makes sense to harden the security of U.S. voting machines, which are perhaps the most direct route to impacting an election’s results. But the current bill that’s advancing in the Senate, the Secure Elections Act, is no solution at all. If it isn’t strengthened dramatically, senators should vote against this deeply flawed bill. The best solution to stop a possible hack of voting machines is clear: all machines must use a paper trail that’s regularly audited. Many states with voting machines already use paper, but more than a dozen are using at least some machines that provide no paper trail. In five states—New Jersey, Delaware, South Carolina, Georgia, and Louisiana—not a single jurisdiction has a paper trail. As important as they are, paper trails only work if they’re checked. As we’ve said since the aftermath of the 2016 election, we not only need elections to be auditable, we need them to be audited. Currently, U.S. elections are usually audited only when they are extremely close or in other unusual situations. 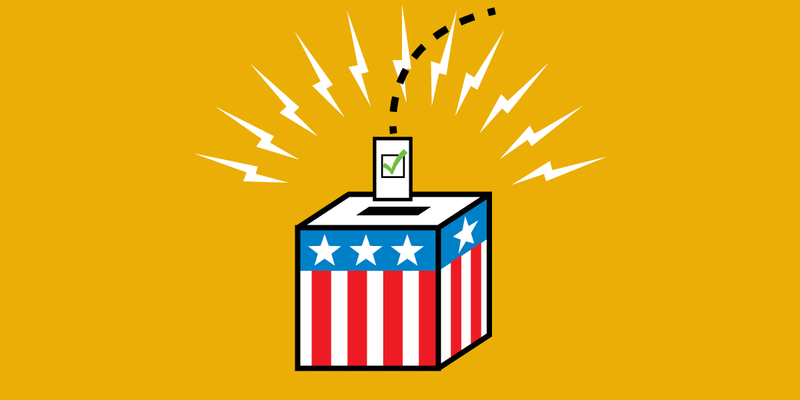 There is a cheap and effective way to audit all of our elections, using a system that statisticians call “risk-limiting audits.” By hand-verifying a small number of randomly chosen ballots, election officials can check, with a high degree of certainty, that the election results were recorded properly. Because they don’t involve massive statewide recounts, such audits can and should be performed after each election. Election audits should be like an annual checkup, not like a visit to the emergency room. The current bill moving ahead in the Senate, S. 2593, falls far short. The bill once included both of these measures, but following amendments, now has neither. It isn’t a mystery how to get this done. A competing bill introduced by Sen. Ron Wyden would mandate both risk-limiting audits and a verifiable paper trail, and has gained three more cosponsors since S. 2593 has been watered down. Secure and verifiable voting isn’t optional. Tell the Senate to either pass a strong bill or oppose the Secure Elections Act.